The Federal Railroad Administration has directed Amtrak this week to conduct an immediate safety review, due to violations that were revealed in the fatal crash and derailment in Pennsylvania on Sunday. The FRA told Amtrak this week to do a safety stand down, which is a review of all of its work safety protocols with track workers and train dispatchers. In the crash this week, an Amtrak train slammed into a maintenance vehicle on the tracks in Chester PA, which killed two workers. The Wall Street Journal reported this week that a very simple safety device could have prevented the deadly disaster. It is a removable circuit that is made to ‘shunt’ tracks and trigger a red light stop signal. It was not in place, even though Amtrak rules state that it should have been. Federal investigators are focusing on miscommunication on April 3, as a shift of track workers and supervisors took over for the previous crew. The train that slammed into the backhoe was on an active track that had been ‘fouled’ earlier, meaning that it had been removed from use temporarily because of a chance that workers on the next track could be endangered as they did their work. Investigators are working to determine how the train was allowed to continue through that stretch of track. The investigation is ongoing, but they have uncovered several violations of safety rules that are troubling enough for the FRA to step in and demand a safety review. 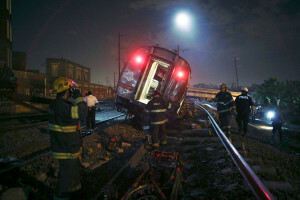 Our train crash attorneys in Virginia truly regret the loss of life in this preventable train crash and derailment. It is sad that it appears that basic safety protocols were not followed by Amtrak that may have led to this deadly collision. How ironic it is that a railroad managed by the US government does not itself apparently follow its own safety rules issued by the FRA. Our hope is that the cause of the crash is quickly determined, and that the families of the deceased pursue a wrongful death lawsuit against the responsible parties. 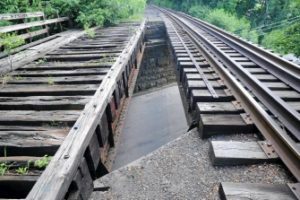 When handled by experienced train accident counsel, a train crash and derailment suit can result in multi-million dollar settlements. The Federal Railroad Administration (FRA) yesterday launched a redesigned website that has been billed to help drivers, pedestrians and law enforcement to be safer around the more than 200,000 railroad crossings and 140,000 miles of track in the US. The new portal for railroad crossings is part of FRA’s campaign to cut down on fatalities at railroad crossings and railroad tracks to zero per year. 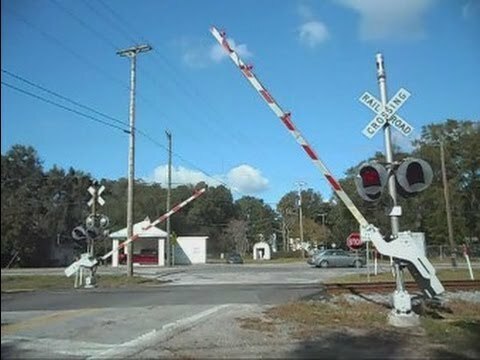 According to US Transportation Secretary Anthony Foxx, railroad crossings are in almost every town and city in the United States, and it is very important to prevent fatalities at crossings and on railroad tracks. 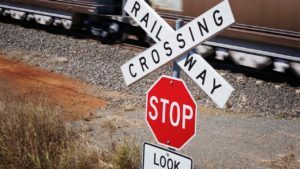 FRA data indicates that 96% of all rail-related deaths are preventable and occur either at railroad crossings or by trespassers walking on tracks. Last year, FRA, also launched a campaign to cut down on railroad crossing fatalities by working with tech companies such as Google to use the latest FRA data that details where each of the 200,000 railroad crossings are on digital maps. In 2015, 244 people killed at railroad crossings, which was a dip from 264 the year before. The new FRA portal has many interactive features that includes downloadable fact sheets on safety. Also, there is an easy-to-navigate resource library, making accessing information about railroad crossing safety and trespassing much more streamlined and educational. We are very pleased as experienced railroad crossing accident attorneys in Virginia, West Virginia, and North Carolina to see that the FRA is stepping up to the plate here. It is really important to use modern technology to cut down on railroad-related deaths. We have represented far too many devastated families whose loved ones were injured or killed at railroad crossings. By carefully analyzing the scene of a railroad crossing accident, sizable settlements are possible; after all, it is the obligation of the railroad to ensure that railroad crossings are safely maintained and marked. But it would of course be far better if none of these railroad-related accidents ever occurred.